Houston is exploring the trade market. The Rockets are looking to acquire a defensive-minded wing player, according to a report from USA Today’s Rockets Wire, which cites unidentified league sources. Houston lost forwards Trevor Ariza and Luc Mbah a Moute in free agency this offseason. 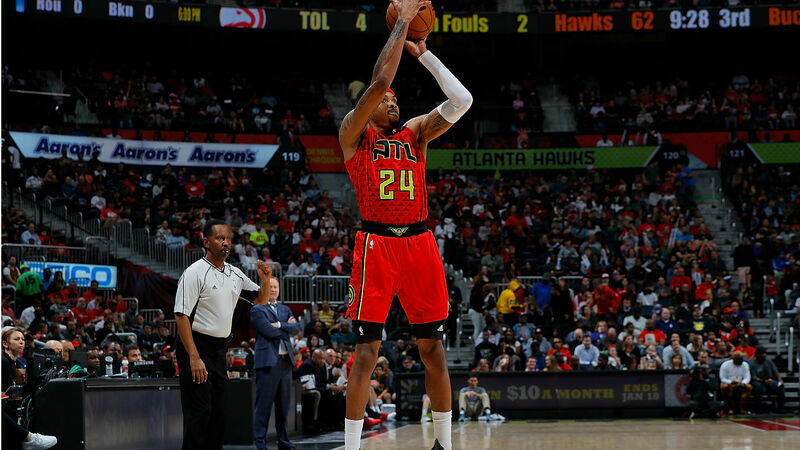 Houston is targeting Hawks guard Kent Bazemore, according to the report. But, it may not have the right assets to deal for the 29-year-old, the report says. Bazemore averaged 12.9 points and 3.5 rebounds per game for Atlanta last season. He also shot 39.4 percent from 3-point range and tallied a career-high 1.5 steals per contest. The Rockets finished last season with a 65-17 record and advanced to the Western Conference Finals, where they fell to the Warriors in seven games. Ariza agreed to a one-year, $15 million contract with the Suns when free agency began July 1. Mbah a Moute, who appeared in 61 games for Houston last season, then signed a one-year deal with the Clippers in early July. But, the Rockets signed point guard Chris Paul to a contract extension earlier this month and recently inked center Clint Capela to a new five-year deal. Houston also added forward James Ennis and is reportedly prepared to sign Carmelo Anthony to a veteran’s minimum contract.